Welcome back to Day 5 of our Anni-VERVE-sary Spotlight Hops! It's an exciting day as there's new Verve in the store this morning! 4 beautiful new sets and 2 coordinating die sets just released and they're all available to order right now. 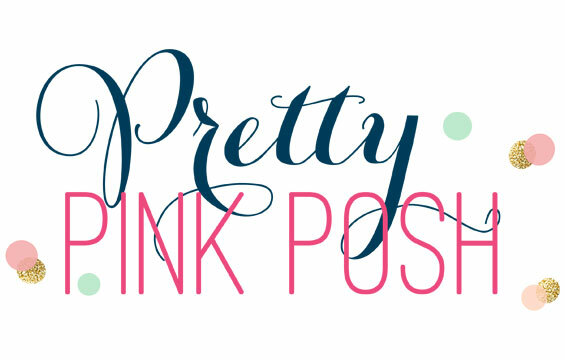 To celebrate this special 10th Anni-VERVE-sary release, we're putting on another blog hop, with a pretty cool prize! Today's featured focus is designer's choice, so you might just sneak a peek at a whole bunch of must-haves, especially since we've got a full line-up of Divas, guests and Alumni today! Wanna know a secret? I went to mask and ink up this colorful rainbow and on the first round, the masking tape ripped the paper right off a corner of the card base. Normally at this point, I start over. But I realized that with a link ink on top of the rip, it looked intentional. So I did another layer and this time hoped for some paper to rip off the top. And it did. And the next time too! I just went back in and added a little ink on top and it worked out perfectly as a distressed rainbow. I die cut the verse with the stitched square but I kept the negative and attached that right to a new card base. Then I popped up the verse on fun foam. And that is it! 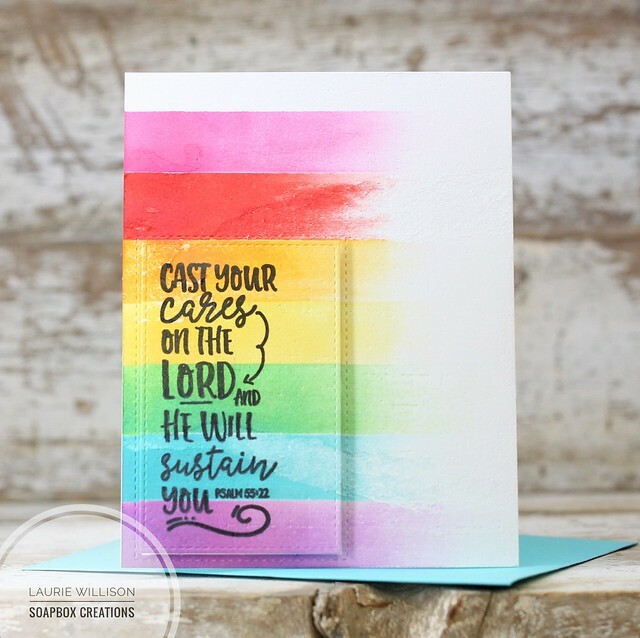 A quick and easy....and distressed....rainbow card with a sentiment full of encouragement! Want to win some shiny new Verve? Today's prize is a BIG one. We'll be picking a random commenter on one of the hop spots below to win our ENTIRE new release! So be sure to leave a little comment on all the blogs below to increase your chances! Check out the Verve Blog today for the full hop list and all the prize info and deadlines! I am so happy to have been able to join in the fun over at Verve this week. Thank you again, to Julee, for having me! 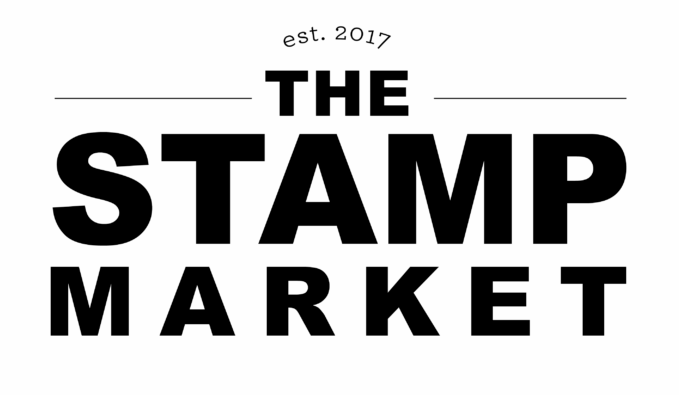 Your stamps are beautiful and such a blessing! Happy 10th Anniversary to Verve! Head on over to the next stop, Tosha, and see what she has whipped up for today. Thanks so much for joining me today! Have a great week! Your rainbow card is SO pretty! Good job! love the rainbow with oxide inks! Absolutely beautiful! Wonderful job! I love psalms scripture. Who can resist a rainbow! Love your pretty rainbow stripes. Lovely card. Oh wow, this is such a eye-catcher! The rainbow stripes are wonderful. I just love that verse. die cut. Love the striping. Love the pop of rainbow stripes to showcase the sentiment, beautiful idea! Love your card for the simplicity and the rainbow of colors. Thanks for sharing. Wonderful save...and actually close to the true meaning of distressed!! We so often make an artificially contrived distressed look, but yours is authentic and fabulous!! Beautiful card. Wonderful card, love the rainbow. Love the rainbow of colors. Beautiful rainbow card! Great job of making lemonade from lemons! 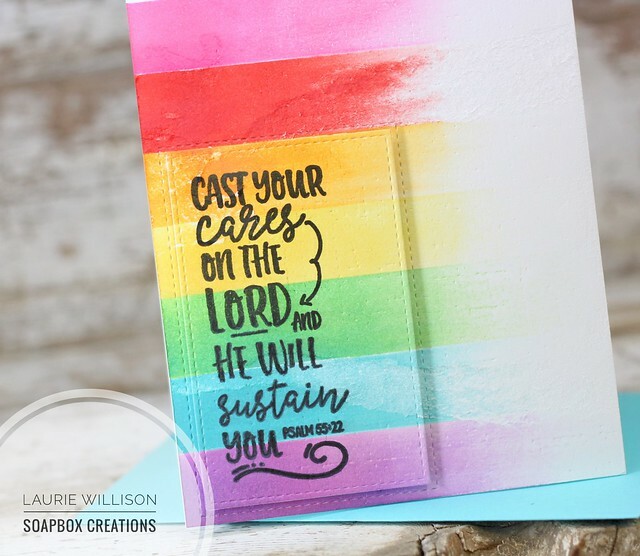 Love the scripture cards and the added rainbow is a wonderful touch, beautiful card. Way to rescue that card, I love how you did that! Brilliant! Gorgeous colors, pretty popped up sentiment. Thanks for the inspiration throughout this hop, your cards have been amazing! Love when mistakes turn into happy mistakes. This is gorgeous Laurie! Lovely card Laurie! The rainbow stripes and sentiment are perfect together! I LOVE the striped effect and little panel. Love these sentiment stamps. Wow wow WOW! I love this happy design - and the tape ripping was meant to be - it is perfection! Isn't that cool when a mistake turns out to be a new idea. Great way of using rainbow colors to highlight the sentiment. Love the distressed rainbow...:the sentiment really pops!! Nice job....way to go showcasing this new set!! Now that's what I call a happy accident. It goes really well with the sentiment too. Love your colorful card, great sentiment! That's a super happy colorful card! Beautiful!! Eeeep, love this!! The rainbow is so pretty and I love how you kept the die-cut piece. It's just a gorgeous design and perfectly features that beautiful verse. 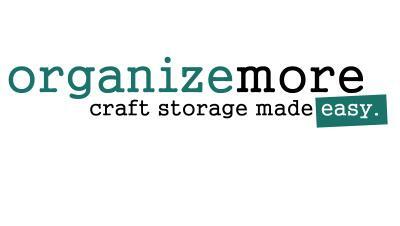 I love the tape-ripping texture idea! Laurie, what a beautiful rainbow and fun technique...even though it turned out differently than planned. But that's very often how God works in our lives. I love this verse, and it's beautiful agains the rainbow...a reminder of God's many promises to us. Thanks for the wonderful inspiration this week! Hugs! Wow, I love this rainbow card. What a happy "change in plan" - I love how it turned out. That rainbow effect is so creative and beautiful! This is a great very cheerful card and this accidental rainbow is perfect. wow, I just love colours, this is fantastic! Your card turned out lovely! to remedy my little mistakes. Beautiful bright and inspirational card! Love the rainbow and how you have your colors fade out on the right hand side of the card! A stencil and a hug!